In an effort to keep the city's tourism economy competitive, Charlotte City Council is considering major upgrades to the Charlotte Convention Center that would cost taxpayers approximately $100 million. Potential upgrades include adding meeting space, technology upgrades, and a walkway connecting the convention center to the Westin Hotel and the site of a future Whole Foods. During its meeting Monday night, City Council approved $1.6 million to be spent on hiring a consultant for the project. The money will primarily come from the Convention Center tax fund and will go to design firm TVS North Carolina, which originally designed the 21-year-old convention center. The firm will present finalized plans for the upgrade this coming fall. Goodwill Industries of the Southern Piedmont announced Tuesday that Michael Elder, president and CEO, will retire effective June 30, 2017, after more than 40 years leading the nonprofit. The executive board will conduct a search for the next president and CEO with the assistance of local search firm Anderson & Associates and Goodwill Industries International, Inc.
"Michael has been a remarkable servant leader in the region over the past 40 years, and we're forever grateful for his service to our community," Sara Garces Roselli, chair of the nonprofit's Board of Directors, said in a press release, "By dedicating his career to the mission of Goodwill, the organization has experienced tremendous growth, and in turn given hope to thousands of individuals living in poverty, who are working to achieve greater personal and economic independence." Elder began his career with the nonprofit in December 1976 -- back when it was called Goodwill Industries of Charlotte. In the 40 years since, Elder helped grow the organization from 61 employees to nearly 800, expanded operations from two counties to eight, and expanded the nonprofit's retail footprint from three stores to 24. A proposal for legalizing medical marijuana is picking up support from a number of lawmakers in the South Carolina legislature. Supporters of the proposal say it's time for politicians to allow people who are seriously ill or suffering from chronic pain to benefit from a plant they contend is better than addictive prescription opioids. A bipartisan group of about 10 lawmakers held a news conference Tuesday afternoon voicing support for the proposal. Law enforcement officials have opposed previous bills, saying marijuana supposedly meant for medical use would instead be used socially. Republican Senator Tom Davis of Beaufort said he hopes this year's bill addresses law enforcement concerns with seed-to-sale tracking, lab testing, and patient registration. So far 28 states have legalized medical marijuana. Lingering ice from this weekend's winter weather is prompting North Carolina's Supreme Court to scrap hearing new cases until next month. The state's highest court says hearings that were scheduled for Tuesday are postponed until mid-February. The justices had planned a longer work day after postponing oral arguments Monday. The delay includes the death penalty case of Mario McNeill, who was convicted of killing 5-year-old Shaniya Davis in Cumberland County in 2009. McNeill wants justices to overturn his convictions because his attorneys should not have told police where to find his victim's body. The Supreme Court next month also plans to hear an appeal from tea-party congressional candidate Greg Brannon. 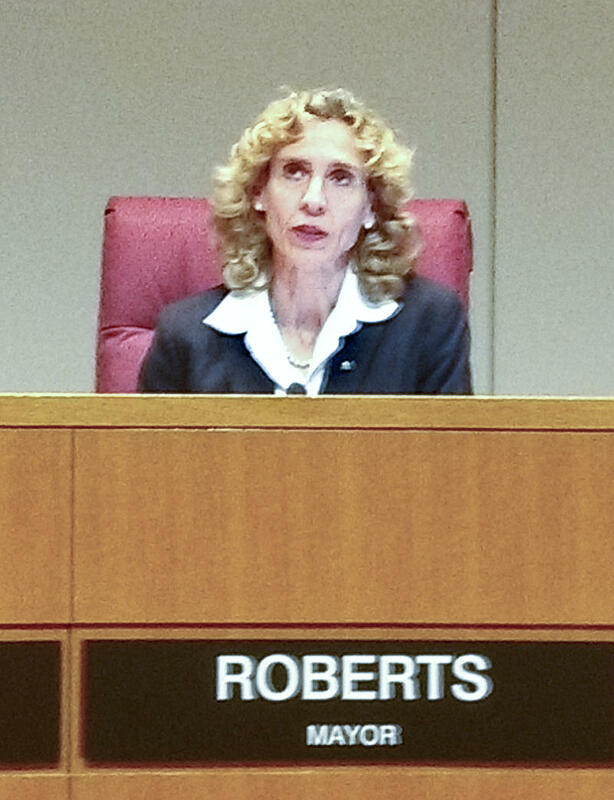 The Cary obstetrician was found to have made false or misleading statements while asking people to invest in a now-closed technology company. The General Assembly is meeting at this hour to discuss repealing House Bill 2, though the repeal effort was thrown into turmoil when rumors began circulating Tuesday that the Charlotte City Council had not fully repealed its entire nondiscrimination ordinance. WFAE’s David Boraks talks to host Nick de la Canal to help clear things up. WFAE's Nick de la Canal talks to WFAE reporter David Boraks about the City Council developments. Governor-elect Roy Cooper says Republican leaders of the North Carolina General Assembly will call a special session Tuesday to repeal House Bill 2. 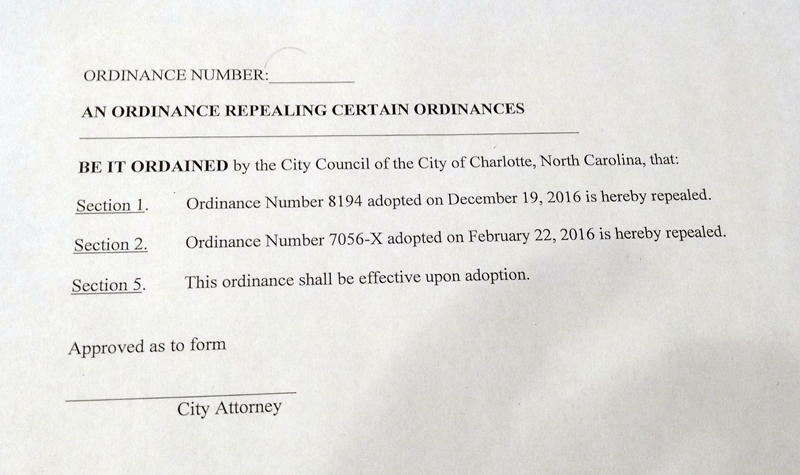 That follows a surprise move from the Charlotte City Council, which Monday morning voted unanimously to repeal its own expansion of the city’s nondiscrimination ordinance. Joining host Nick de la Canal for more on this is WFAE’s David Boraks.